Recently I was contacted by Sew Sisters to see if I would be interested in hosting a sponsored giveaway and was told the prize would be batik fabrics. I have never done a sponsored giveaway before and this one really fits well with my blog as you know how much I love batik fabrics. I have also shopped from Sew Sisters online shop and received wonderful service. It was a win win situation as my readers get the chance to win some beautiful fabric and Sew Sisters gets a spotlight on my blog. If your new to my blog I’m a longarm quilter in Northern Manitoba that is passionate about quilting, loves to dye fabric and enjoys photographing my clients quilts in the beauty of our northern landscape. Hope you’ll take a few minutes to browse the wonderful quilts that have come through the doors of Tamarack Shack! The picture above is of the fabrics that are up for grabs, 4 half yard cuts of green batiks. Sew Sisters has a Batik Lover’s Club where you can receive 4 half yards of batiks every month for $25. Here is a bit of info they sent to me about their shop. 1. Leave a comment and tell me if you have made a quilt with batik fabrics before. 2. Leave a second comment if your a follower. If you want to become a follower just click on the Join This Site button on my sidebar. I’ll make the draw on Thursday, March 7. International entries welcomed! I’ll be turning the anonymous option back on for this week’s giveaway but please make sure that you leave your email so we can get a hold of you if you win. Also if your using your Blogger account please make sure your not a ‘no reply blogger”. If your not sure if you are please check out this link, it has a wonderful tutorial on how to fix that. Good luck and thank you to Sew Sisters for sponsoring this giveaway! The winner was comment #3, congrats Gill! I've used batiks in quilts! 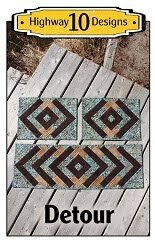 i have used batiks in many of my quilts as i do landscape appliques alot...:) thanks for having a giveaway, i hope i win! Love batiks. Just bought a batik backing from my LQS to try out. It is a light so hope to have some leftovers as light batiks are hard to find. Yes I am a follower of yours and I have bought fabrics from Sew Sister's before- they were lovely and I have always been happy with the service that they have provided. Thanks for the chance to win such lovely green ones. I haven't used batiks in any quilting projects. Love to try them! Hi, Kathy! I am a follower! I have used batiks in a few quilts - they are beautiful to work with and look glorious on a bed. Your winner will love these green fabrics. I have used a number of batiks over the years, but am only now making a quilt using all batik fabrics. I have made quilts, purses and crafts from batiks. They are so versatile. I have enjoyed reading your blog and have joined happily! Batiks are my fave! Just starting a mystery quilt with them. Oh, I love batiks. I am staring at some right now for my next project. Kathy, you have a wonderful blog. Your blog is my favorite quilting blog. Forgot to say that I am a follower as well. I love batiks. Yes, I have made quilts using batiks. I like batiks but I've never used them in a quilt. I really like batiks and I made a quilt top by piecing strips from a jelly roll. It turned out great. I follow you with google reader. Thanks for all the great pictures. Love to work with batiks....and will check out their shop. My favorite quilt with batiks is my version of a NY Beauty that i did last year. Yes, I am a follower and love your beautiful work. Yes I've used Batiks in my quilts..I'm a BATIK JUNKIE...LOVE THEM ALL, and yep I'm a follower! LOVE your work!! I have made quilts with batiks before, and every time I have been thrilled with the results. To me, it seems like the variety of batiks has really grown in the last 5 years or so. Plus they seem to get more and more beautiful. I used a mix of batiks and solids on a New York Beauty mini and I loved the result! Bound the edge with a print too. They can really be a scrumptious addition! I follow Kathy everywhere she blogs! I use batik all the time, batiks are thebest way to create the results i want in my art quilts. Batiks add a sensational warmth to my work. I love working with batiks! They add so much texture, and tiny variations in color. I am a happy new follower of your blog. I've used some batiks in a quilt, but have yet to make a whole quilt out of them. Thanks to Sew Sisters for sponsoring this giveaway, and to you for the chance to win! I do like batiks and have learned to do so from you! I have used some batiks in the past and just started another quilt using them! I have never made a quilt with batiks but I have made several bags with it and love it. The colors are so versatile. However, should I win this, you better believe it's gonna be a quilt because I was looking at a quilt magazine last night and saw a batik quilt I want to make!!!! I have followed you from the beginning and love seeing your "quilting magic" and your beautiful pictures! Love Batiks and like to quilt with them, my last batik was a Jelly Roll Race in blues, quilted with the Calm Water Panto. I love batiks & have made many quilts using them!! I'm a follower, Love you blog, you have the greatest pictures, and would love to use these green batiks in a future project. used a navy and gold batik to make a hunter star quilt...was very beautiful too!! Yes, Kathy, I have been following your site and tell all my friends about your wonderful photography of quilts. Only recently have I started purchasing batiks, a win would really add to my stash!! I love batiks! 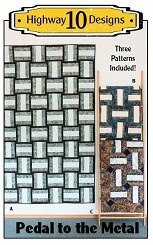 I've never made a whole quilt with them because they are pricey, but I've done table runners with them. Lately I've been looking at Eydita Sitar's quilts. She combines batiks and traditional prints so beautifully. I'm going to try a quilt like that. Thanks so much for hosting this giveaway! I'm so glad that I discovered your lovely blog! Well I have used batics yes - but never solely, always in combination with other fabrics. love batiks and have a flimsy or two worked up and stashed. thanx for the chance to win some green batiks, just in time for st paddy's day ... my b-day! I haven't yet used batiks in a quilt, I do however have a small stash of them and plan on using them soon. i'm now a new follower ... enjoyed browsing your tutorial linx. I am just finishing up my first Batik quilt today! i used batiks in the Starburst quilt-along. I love Tamarack Shack! And are a regular follower. Love seeing all that's going on from 'the shack'. I have made a small quilt out of batiks for my grandaughter. I follow you on facebook and I love Batiks so does my husband. He is the one that introduced me to them. I love batiks and have made some quilts with them! I also made two king size quilts with batiks, using my tiny little Viking with a 6 inch throat! Hi Kathy, what a fun give-away. Almost every quilt I make uses batiks. I have used batiks for landscape quilts , I love them . I am a follower , thanks for the chance . I love working with batiks and often incorporate them into my quilts! That's a beautiful group of green batiks! I have made a quilt uqing batiks, and LOVE them! I am currently collecting batiks to make a souvenir quilt of our Alaska vacation last year. I have made several quilts from batiks. I think they are my favorite fabrics. I'm in the process of collecting batiks to make one of the featured quilts on your blog. Check your blog nearly every day, love your pictures of the quilts you quilt. Yes I am a follower all the time some times more than once a day. Batiks are wonderful. I have used batiks in my quilting and seem to be using more and more of them. Your beautiful work with batiks has certainly been inspirational. I love using batiks, they are so wonderful to piece with and I love the huge range of colors & designs available. I was a daily follower long before I joined in as one. My daily visit supplies me with the inspiration that I need. 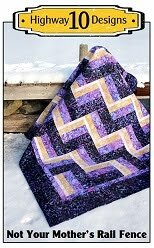 I love your colour selection, piecing, and the "magic" you create on yours, and clients', quilts. We do live in a gorgeous part of the country and your photography captures it all---the beauty of the area and the beauty of you and your clients' work. Thanks, Kathy. and Sew Sisters, for the opportunity to participate in a batik giveaway. What could be yummier? Yes, I have made many quilts with batik fabrics. This looks like a lovely bundle.....of course, I've never seen a batik that I didn't like! I am a follower. I found your blog a few months back....I kept coming across it and reading back. Finally decided that instead of trying to find the "great blog" again it was easier to follow and have you on my side bar. Yup...I am a follower and love, love batiks too! I'm a happy follower and you made me love batiks! And, although I have not a big quilt, I have made several runners using batik material! They are so fun to make! I am an avid follower , and love to see pics of the quilts on the ice! I love batiks,I use them in my landscape quilts. I shope at sew sisters and love all the girls that work there. Yes I am a follower of you Kathy, I love looking at the quilts and the beautiful quilting you do on them. I check your blog regularily. I love working with batiks, they work beautifuly on landscape quilts. I LOVE Batiks -- I think I have every color there is :) (just kidding). I also love your dyed fabric, beautiful. Thanks for a great giveaway. This is a very new fabric to me. I have a few pieces that I have purchased but haven't used yet. Some day soon. I love the look of batiks, but have not yet made a quilt with them. I was a follow on facebook, and just signed up for your blog. I have never worked with batiks,have a great pattern waiting for them. Good to be square . I hope I win. I enjoy looking at your blog and have become a follower ,I want to learn more about snow dying . I am now a follower. I love looking at your pictures. They are beautiful. I have started a batik quilt, only a quarter done. I also love batiks and enjoy seeing what others have made with this fabric on Kathy's blog. I am currently gathering fabric to make a batik quilt because I have never done one before. Thanks for the grat giveaway! Just joined you! Love Swe Sisters and I am sure I will love following you! Hi there....I have never made a quilt with Batiks. I always intend to; then never get there...thanks for this chance. I am a follower. What a nice blog. I haven't made a quilt out of batik but I have a wall hanging in the planning. A friend and a follower. If you draw my name will be think it's fixed??? Batiks are my favorite as well. Made many a project with them, and many are partially complete! Thanks for a chance to win. Sew Sisters is great. I made my son's wedding quilt from batiks. I`ve never made a quilt with batiks.I use batiks to do stained glass. I do follow.Thanks for the chance to win! No I have not made a quilt with Batik fabrics, but these would go well with the fat quarters that you sent to me last year so I might have to make one soon. Yes, I am a follower too of course. Your blog is the one I check most regularlly. I love batik fabrics and have used a piece or two in different projects. One day soon I want to make a whole quilt with JUST batiks. I am a follower, thanks for the giveaway! Lovely green batiks. I think I have made 1 quilt that was all batiks. I have incorporated batiks with other fabrics to make many quilts. I am also currently collecting batiks for a NY Beauty quilt and green is one of the colors I am using. Thanks for the chance to win. 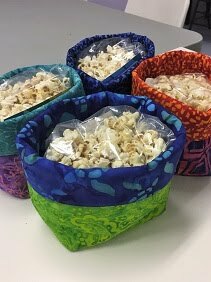 I just became a follower--although I visit your blog every day Thanks to you and Sew Sisters for the giveaway. My quilting sisters and I will be making a donation quilt out of all our batik scraps at our retreat next week! Now I am a follower although I look at your blog regularly. It is one of my FAVORITES! i follow your blog....i love your shots of quilts on your ice rink. my last quilt was made with batiks and blendable prints. Creative Sisters in Kitchener is generally my source for batiks. a batik usually sneaks its' way on to most of my quilts!! I have a kitty cat quilt that's almost completed - the cats are each pieced from different batiks :) Thank you for the chance to win some lovely batiks! Yes, I made a batik quilt before christmas, and I was lucky enough to have you quilt it for me. Oh how I love the unique look of batiks, and I would sure enjoy learning how to dye fabric. No I haven't made a batik quilt yet. But I intend to. I just recently finished my first batik quilt. Thanks for the giveaway. While I love batiks, I have not yet made a quilt using those fabrics. I really want to make a quilt for me out of batiks but right now I am committed to making one for a new grandchild and then I have to finish one for my daughter. Thanks for the chance to win some lovely fabrics. I have not made a quilt with batiks but I would love too. They are beautiful! Yes I am a follower. I have joined your site and will be following it. I have never done a quilt in Batik. Though I have sewed a lot of gowns and nighties in batik. I love Batiks but have never used them myself before. I have a few Batik wall hanging pieces from Indonesia and love them. This is such a great giveaway!! I just made my first batik quilt last weekend while I was on a quilting retreat with 23 other great friends! What a yummy bundle of batiks. I've made a number of quilts with batiks and currently working on making some charity baby quilts with batiks. These would actually work really well with what I'm making too! I am now a follower. I have small collection of batiks but have only made a Hawaiian wall hanging Honu-turtle) so far, I plan on adding more to this hanging soon.I could certainly do with more batiks especially green (turle colour). I haven't made a quilt with batiks yet but I have a whole stack of batik fabrics that I thought looked like rocks and I plan on making a "rocks in the stream" quilt of my own invention. I've got a lot of the rocks cut out waiting for me to get back to them. I really love batik fabrics and made some quilts with them, in the moment I am working on two projects with batik fabrics. And yes I am a follower, I enjoy your pictures of the quilts really much. I have made a quilt with batiks with blues and oranges. I have a small stash that I've been adding to with 2 more quilts in mind. I love batiks. Although I've been reading your blog daily for some months, since a fellow quilter told me about it, I've just "joined". Yes, I have made several quilts using batiks and yes I am now a follower. I've not made a quilt with batiks fabrics however I have some in my stash so once I'm done with the quilt orders that I have I will be making a quilt with these fabrics. Great giveaway! So nice to spotlight a Canadian company! I have made a few quilts with Batiks - they are my favourites. I am a follower. Thanks again Kathy! I am just starting to use some batiks here and there in quilts. Hey, this *is* a perfect giveaway for your blog. :) I love batiks! 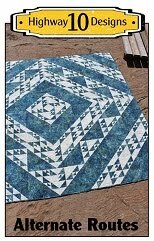 I've used them in several quilts, like a couple Niemeyer patterns, a thematic trip-around-the-world quilt, several McKenna Ryan projects, my Hawaiian mini, and freely mix them in with "regular" quilting cottons on projects. I've made several quilts with Batiks, quite a few of them from Judy's shop during her Triangulations Block of the month. Also one of two quilts from Mckenna Ryan have been made with these gorgeous fabrics. I love quilting with batiks. They are my favorite fabrics! I've been following you for a while. Love your work! Hi Kathy, I love batik quilts. I am in the process of attempting my first batik quilt, our guild mystery quilt!!! Yes, I am a follower. I check your blog every day to see what you have new. The quilts, your quilting and your pictures are wonderful. Love that Sew Sisters sent me to check your blog out, I love it! I also love batiks. I've done a strip quilt and stained glass wall hanging entirely in batiks, and I'm working on a set of placemats and table runner right now. Yes, I am now a follower thanks to Sew Sisters! Yes I follow your blog. And I have made multiple batik quilts (two to be honest). Love the fabrics and design of batiks. I made a quilt with batiks last month. It was my first batik quilt and it turned out beautiful. I'm sure I'll do another one soon. Though I'm not a follower of your blog I read it every day. And I like to see your work and how you photograph all the quilts. Lovely batiks.....I've used batiks to make bags. Thanks for sponsoring the giveaway! I love working with batiks both for piecing and applique. My first batik quilt was a combination of Maple Leaf and Log Cabin blocks, gifted to my daughter in Ottawa. Yes I have used batiks in a quilt! Linda A Love those Batiks!! Linda A linsquilts@yahoo.ca I'm a follower now!! I have made many quilts using batiks. In fact, it is my favorite fabric. I am a follower of yours and I have made a few batik quilts. Love all the options you have with them. I have also made a quilt (your hockey one that you posted about 2 years ago). I love all your work. I have a batik quilt kit that is still waiting in the wings but I haven't made a totally batik quilt top yet. I use batiks a lot for applique though and love them for that since they don't fray as easily. Love your blog and check it frequently. 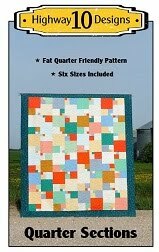 I'm new to long arm quilting and really appreciate your photos and the names of the quilt patterns that you choose. My e-mail is Aldrich53@hotmail.com - please enter me in your draw. Hug Me Quilt and a Winner!